Two views, south transcept. 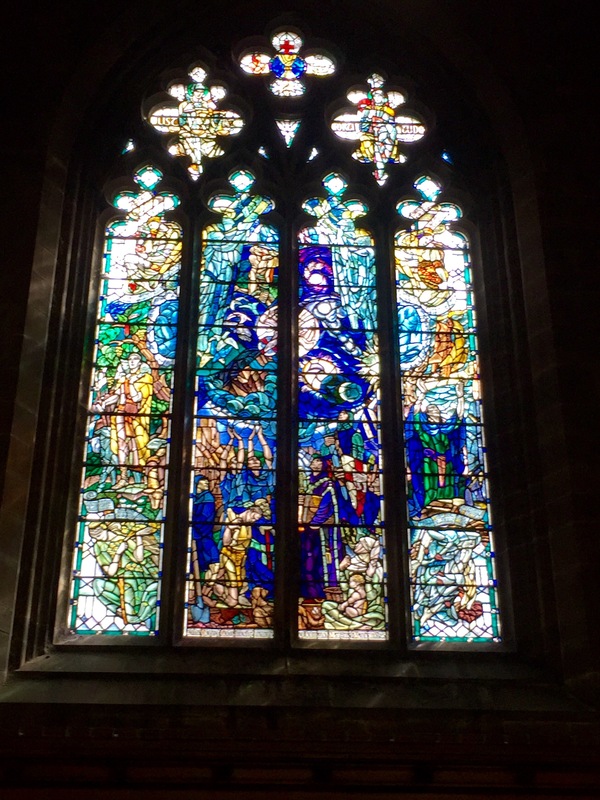 The window is the only 20th century window in the church, given in memory of John Risk, a distillery owner, and his wife. It was completed just before the Second World War, and kept “sagely in storage” until 1946. The four corners show the seasons, while the central panel depicts the “Big Bang” theory of creation. 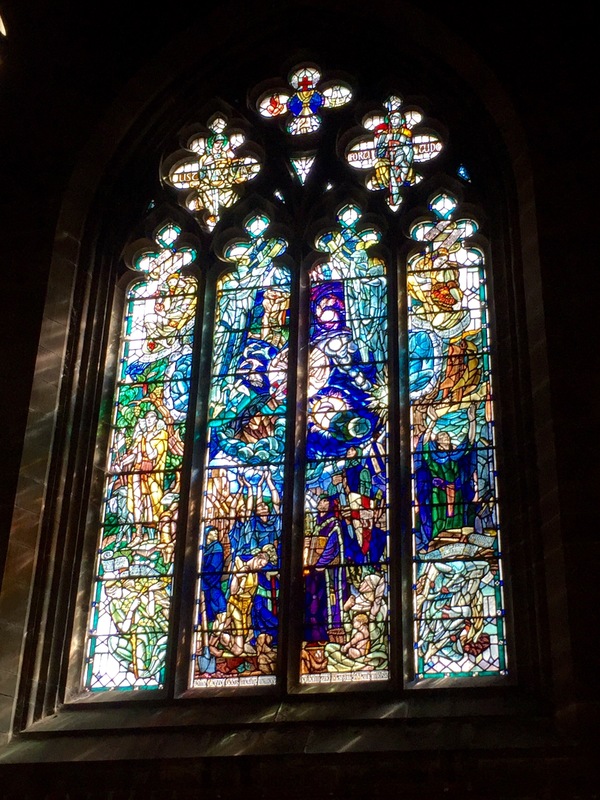 To my mind, the most beautiful window in the church, certainly the most unusual. This one’s for you, Randy Sewell! 31 Jul	This entry was published on July 31, 2016 at 5:16 pm and is filed under Uncategorized. Bookmark the permalink. Follow any comments here with the RSS feed for this post.